Growing up, I used to like the single-panel comic strip The Family Circus. At any rate, I share my shame with you today because today's gag--which appears in this month's New Era--reminds me a great deal of a Family Circus gag. 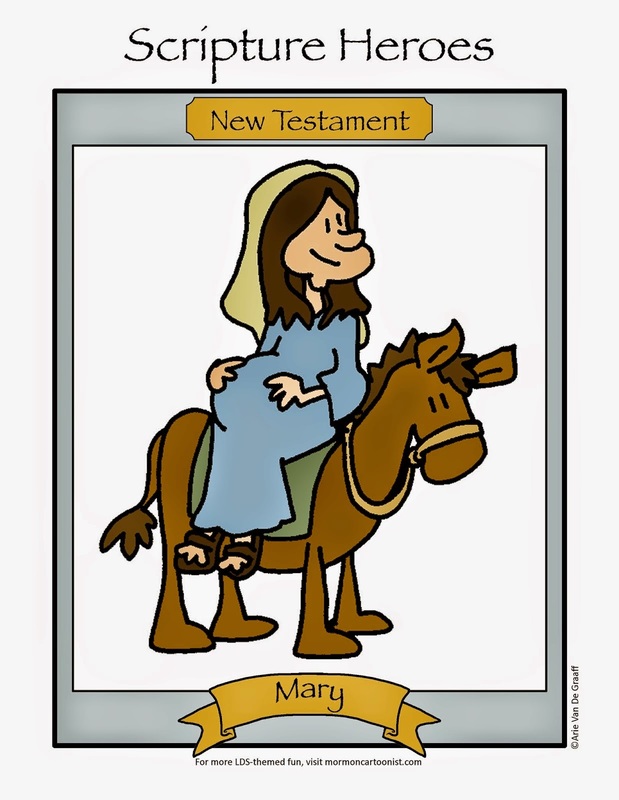 Had I placed it in a circle and given the child an abnormally large head, you might not even know the difference. *Those six jokes include 1) the "Not Me" ghost, 2) Billy getting distracted and taking a convoluted path to complete a simple task (these were my favorite), 3) kids say the darndest things (of which category today's gag falls into), 4) angel Grandpa keeps an eye on his brood, 5) Billy fills in for Dad and makes a lot of puns, and 6) come to think of it, maybe he only had five jokes. The amazing thing is that Bil Keane is really a very funny guy. He sometimes acts as emcee at the National Cartoonists Society gatherings and he is downright hilarious. He is much funnier in person than he is in Family Circle, and he's a really nice guy, too. By the way, I enjoyed meeting you in the radio studio last week. Thanks for the insight. I've long suspected that Bil Keane (as well as his son, Jeff) was a cool guy based on his playful relationship with the Pearls Before Swine guy. It was my honor meeting you last week. I've been a fan for a long, long time. What would Sergio Aragones say? LOL I'd say Peanuts was a big influence on you too. The way the little girl has her hands placed looks like Charlie Brown when he was on the wall talking to Linus. Good call, MormonHermitMom. Her's are definitely Peanut style arms. 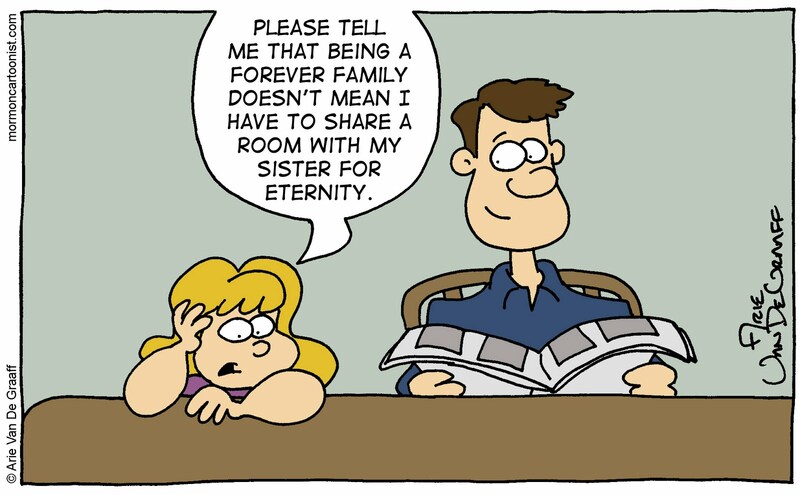 just so you know that joke is completely true you do have to share your room with your sister for eternity beleve me i would know.